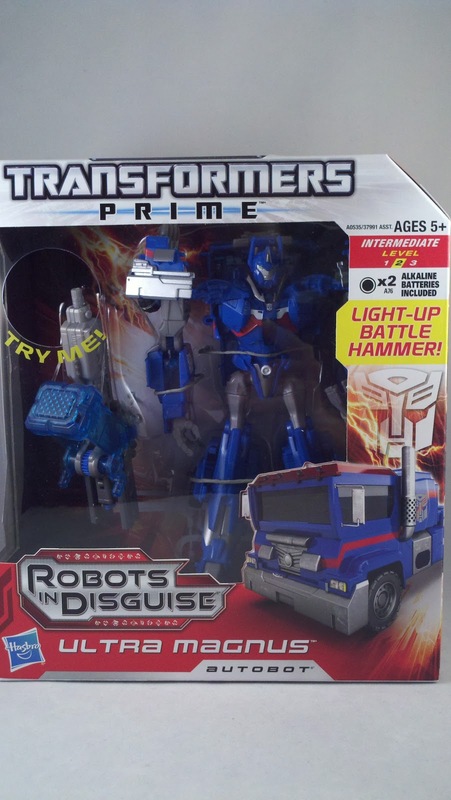 With the recent rash of Transformers reviews by yours truly, the new stuff that I've been able to get a hold of has finally started to slow down. On a recent trip to a local Target, I managed to pick up 2 of the newest Transformers Prime Voyager scale figures, Thundertron (who we will look at later this week) and Ultra Magnus. 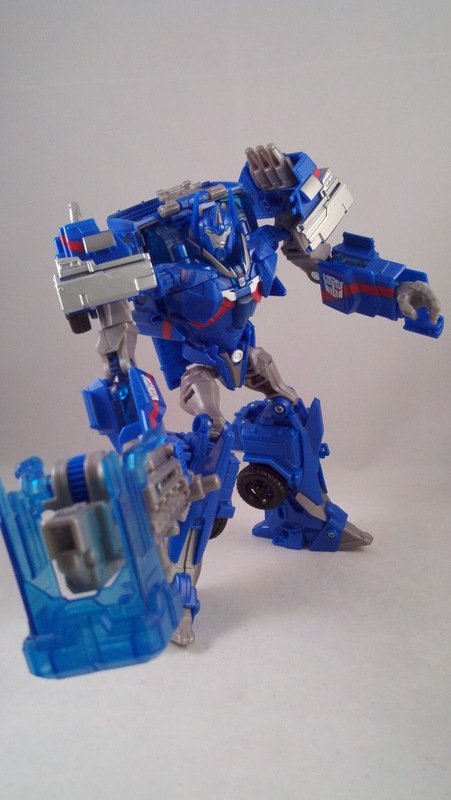 Ultra Magnus has already seen a Cyberverse Commander scale figure, so it was nice to finally see this guy in a larger size. 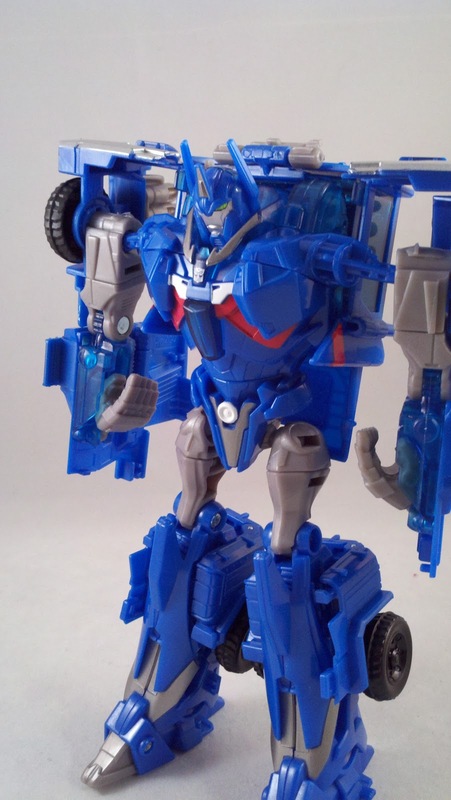 Does the larger figure outdo his smaller counterpart? Take a look after the jump! 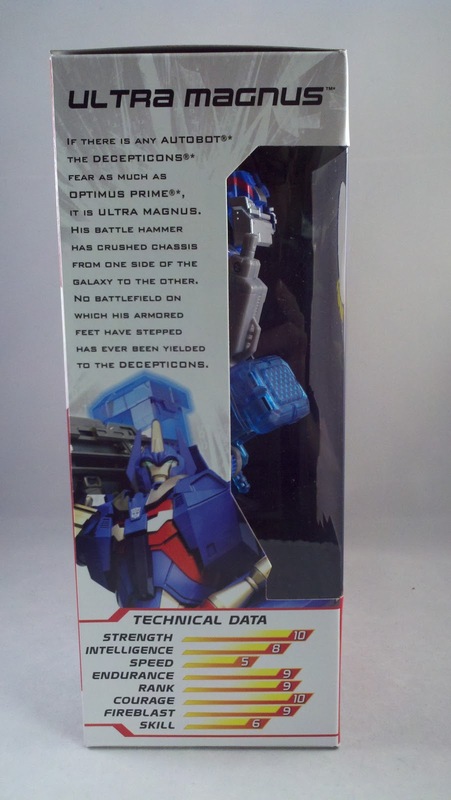 To be honest, based on the figures bio from the side of the box, I'm not exactly sure which version of Ultra Magnus this figure pulls from. And with him NOT making any appearance as of yet in the show, it's hard to say. 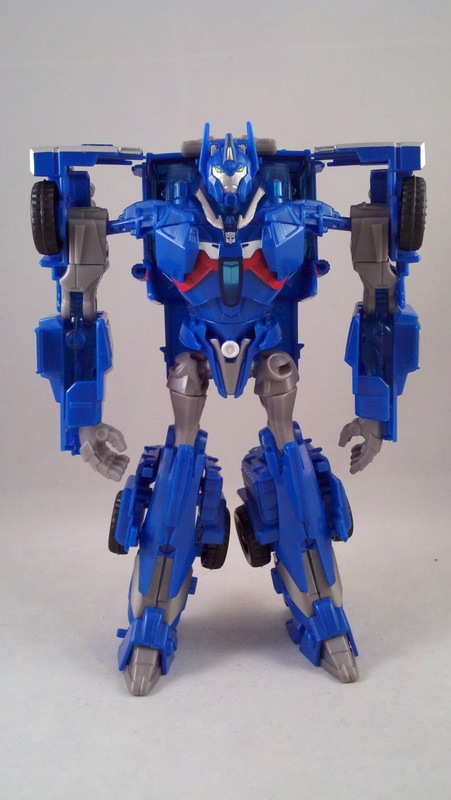 If I were to go off the Alt-mode and weapons, I'd say this is a take on the Animated Universe's Ultra Magnus. But again, with no reference accept him being a warrior with a large hammer, there's no telling. 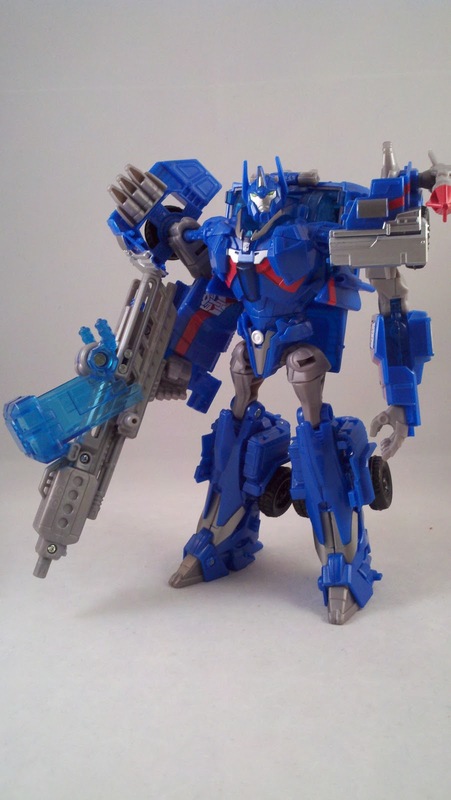 I'll just stick to his most recent iteration from IDW, that of a Tyrest Accord enforcing security officer and take no nonsense, never smiling, super cop. 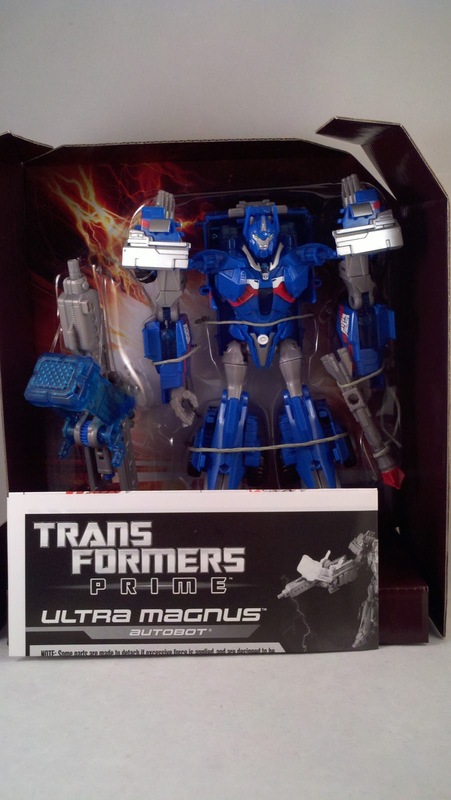 Ultra Magnus comes to us in the standard format TF:Prime packaging... window boxed in mostly white with some red detailing. 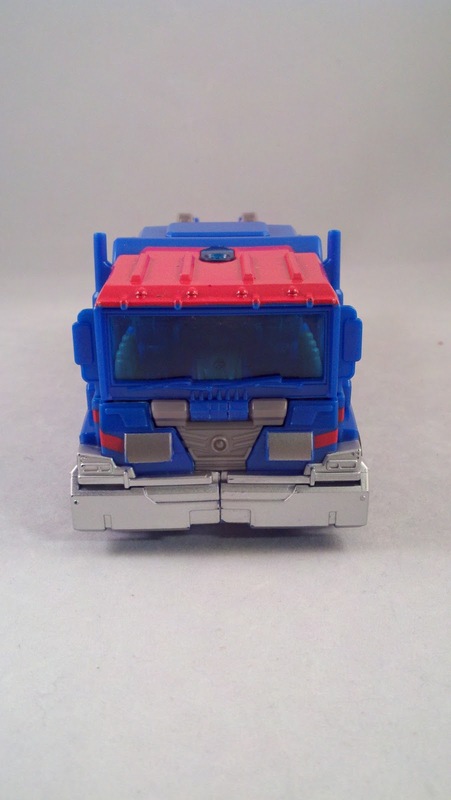 As Magnus is packed in Bot-mode, there is a pic of his Alt-mode on the front. The window has a cut-out so you can test out Magnus' Meh-Tech weapon. ... 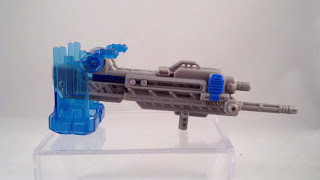 I REALLY wish Hasbro would stop making these weapons. 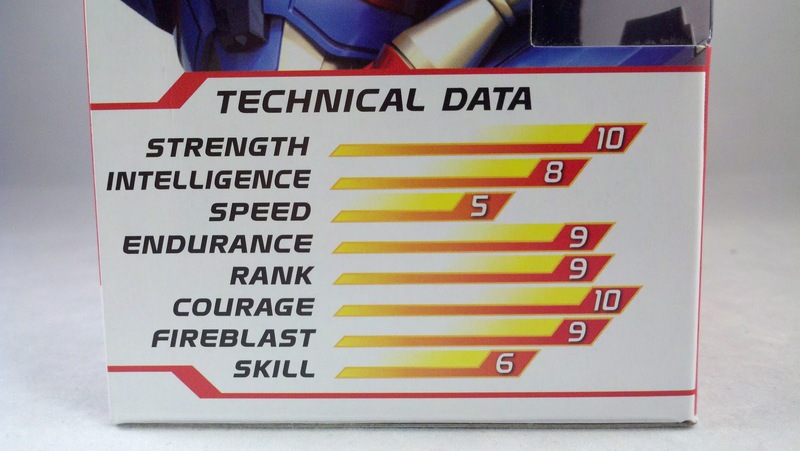 The sides provide some more art as well as the aforementioned vague bio and Tech-Spec. 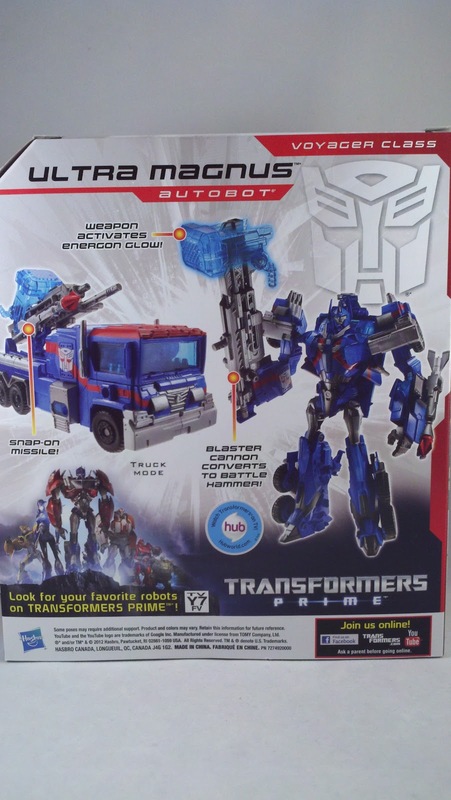 The back of the box gives us a few more pics of the actual figure in both Bot and Alt modes. Open up the box, and we have the usual plastic tray with paper ties and the instructions underneath. 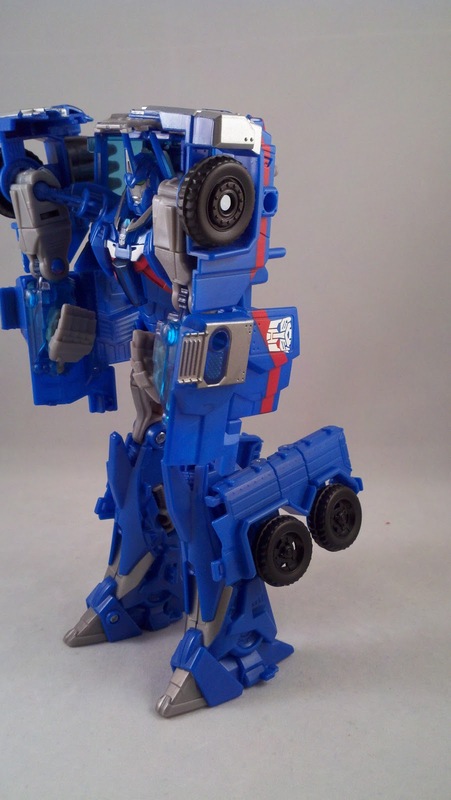 First impressions once Ultra Magnus is freed from his prison... I'm worried about the arms. 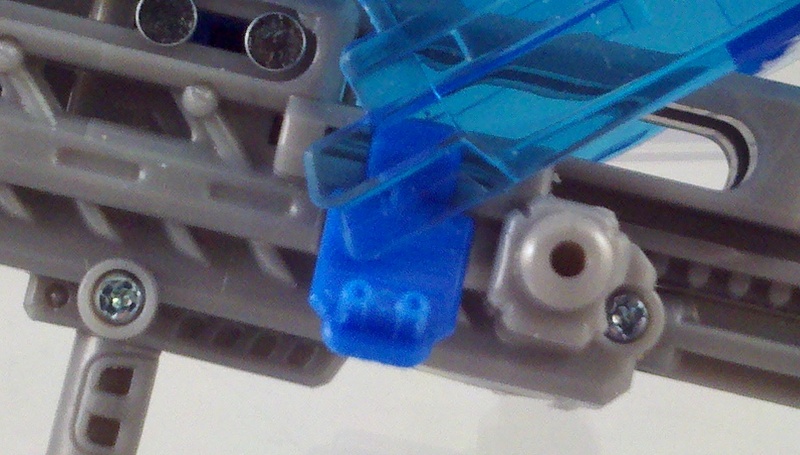 The shoulders only have one ball joint and the rest of the arm dangles from it. There is no real support and it looks like he won't really be able to pose with his enormous hammer. 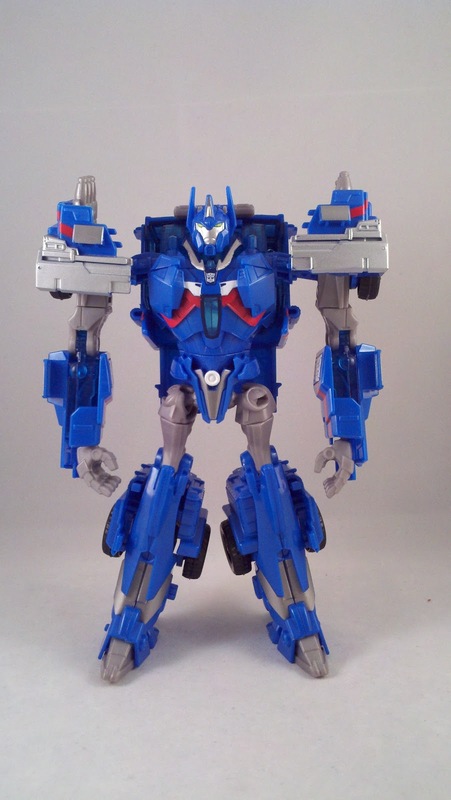 Otherwise, he looks alright... just a larger version of the Cyberverse Commander scale. 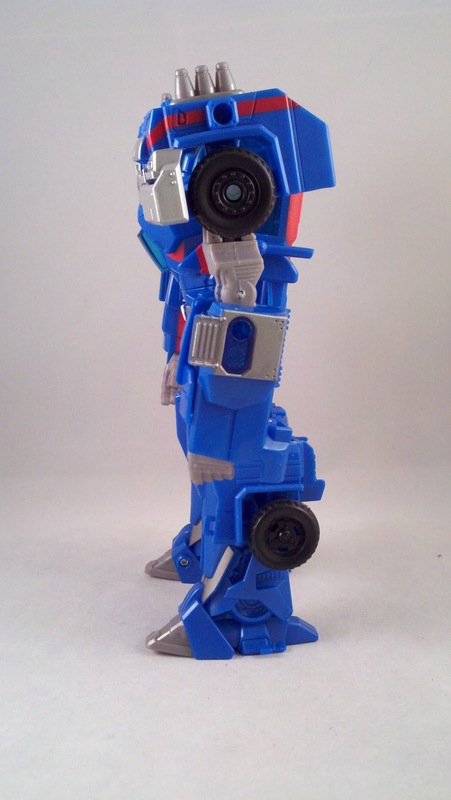 Once in hand... Ultra Magnus has a little bulk to him, but his arms do indeed flop around a bit. There just doesn't seem to be much there to support them. 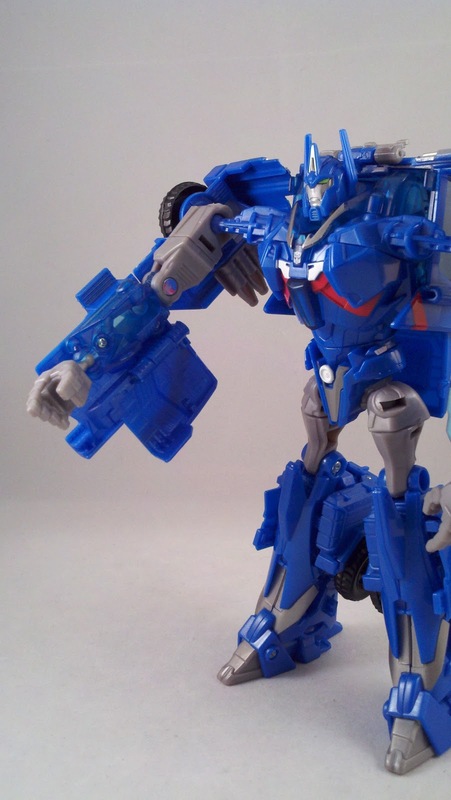 Molded in primarily blue, Ultra Magnus has some silver/grey parts and paint apps as well as some red apps. 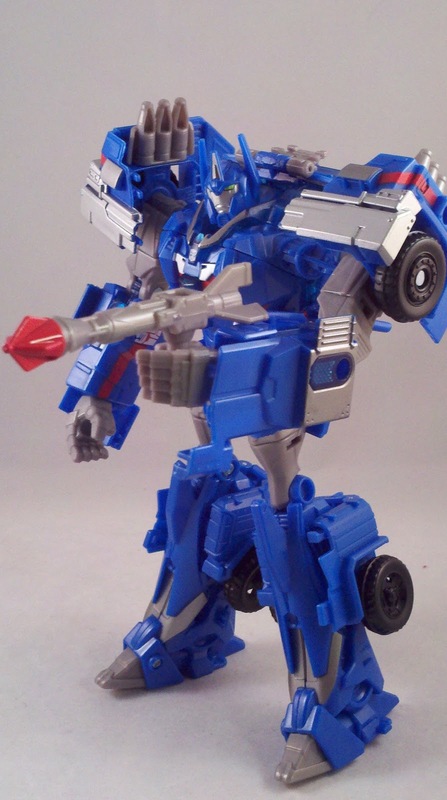 He looks good, very reminiscent of G1 Magnus. 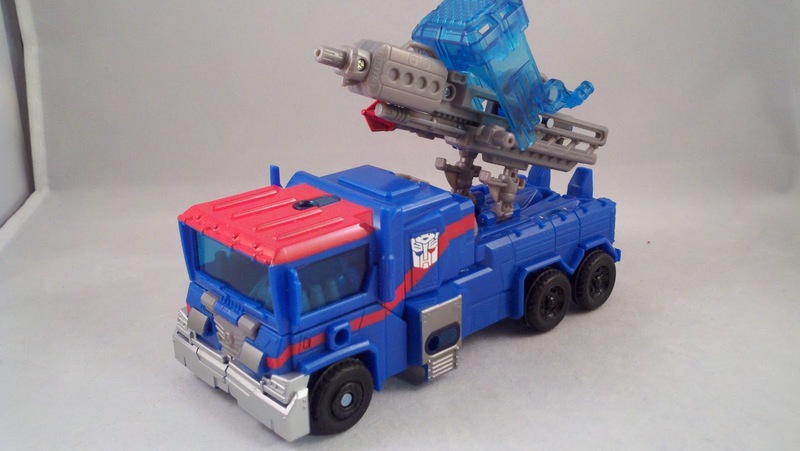 Ultra Magnus comes packed with 2 accessories... a Meh-Tech cannon/hammer and a missile... that does not launch. 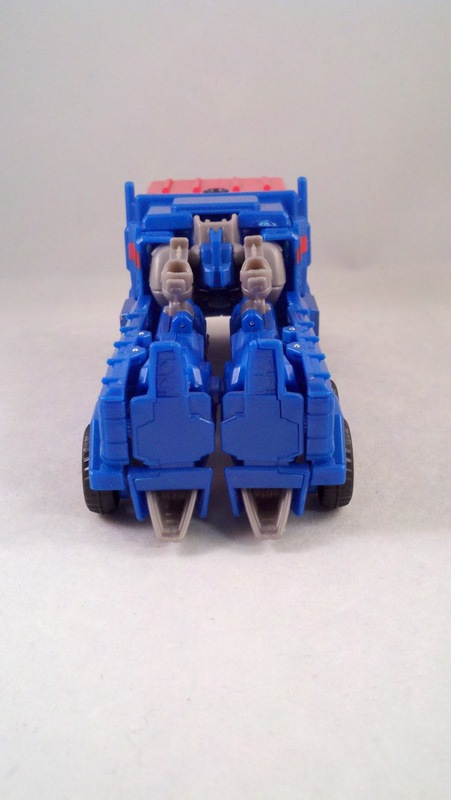 The hammer pulls from Animated's Ultra Magnus. 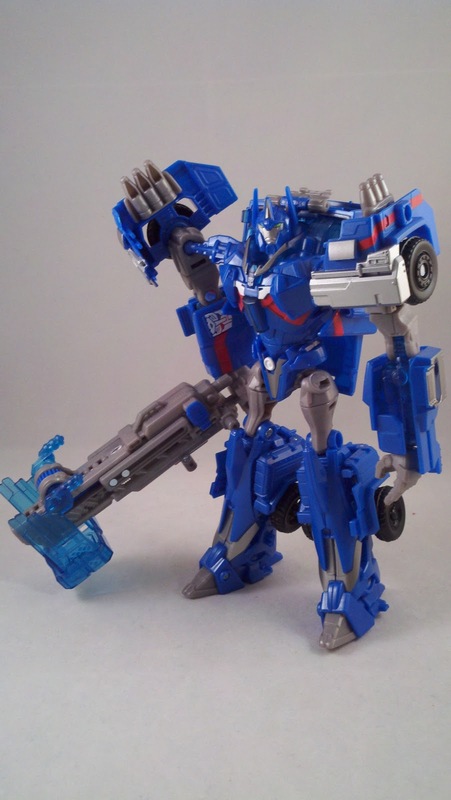 Like the term 'Prime', 'Magnus' was used as a title; which was actually higher in rank than 'Prime'; meaning Ultra Magnus actually outranked Optimus Prime. 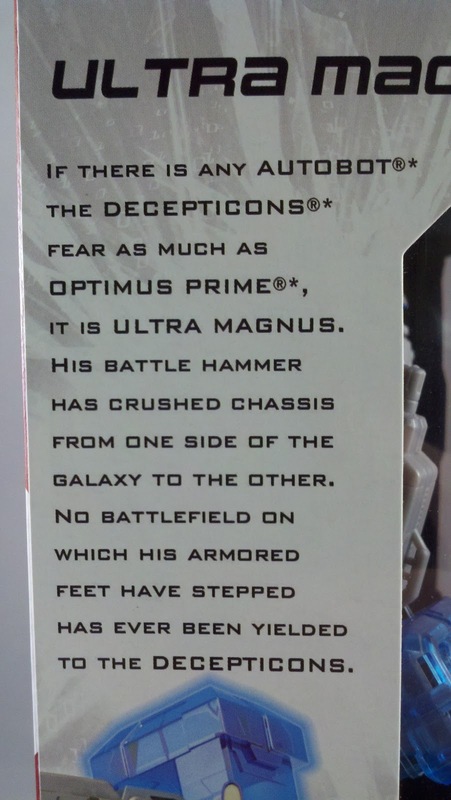 Magnus' 'Magnus Hammer' was a symbol of that rank. 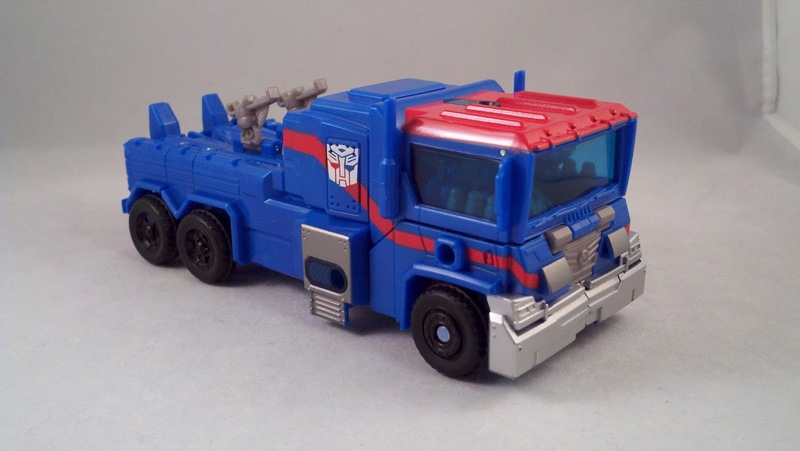 The second accessory, the missile, takes it's cue from the shoulder mounted missiles of G1 Magnus. The cannon/hammer is of course, Meh-Tech and you know how I loathe these things. 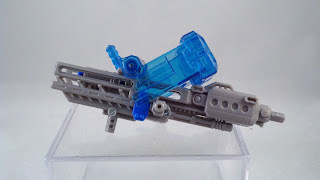 The natural form of the weapon is that of a cannon... with this weird GIANT blue piece on it that looks ridiculously out of place. Slide the sections and the blue piece flips over and becomes the hammer head. 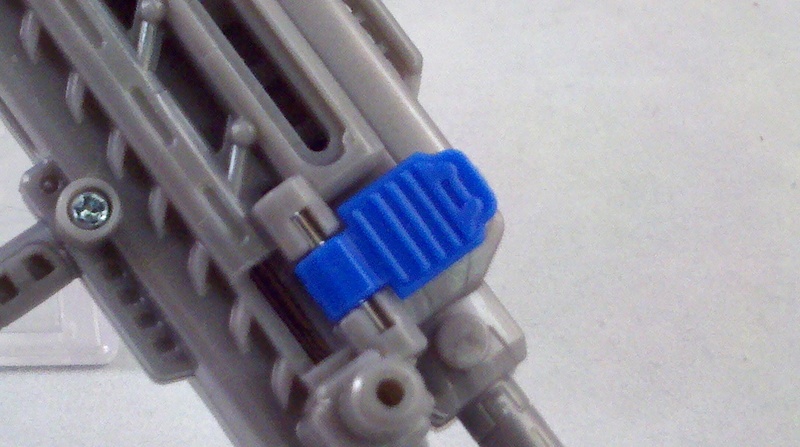 However, unlike most Meh-tech weaponry, this one actually HAS a switch that WILL keep it in hammer form. 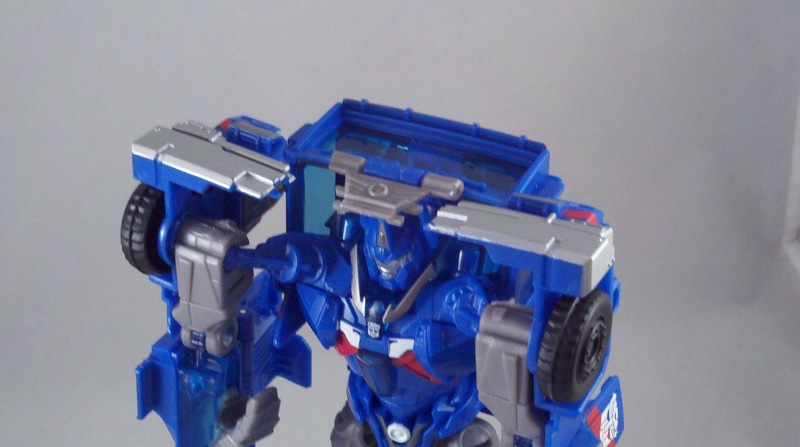 As I feared... Magnus' shoulders can't hold the weight of his hammer... his arm just dangles. The only pose really available was to have him stand there with the hammer hoisted up on his shoulder. It looks good, but I was hoping for more. I'm sure if I really wanted to, the super-glue trick could take care of it but I just didn't care enough. The missile can post into holes at either the shoulder and or forearm. 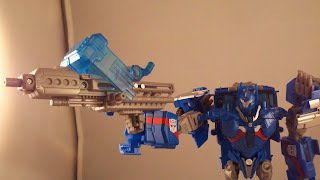 Magnus can also hold it like a firearm. I feel he should have come with 2 of these. 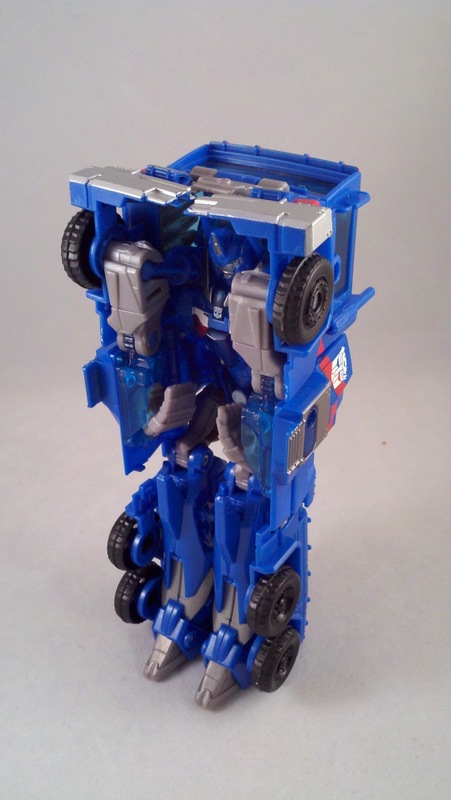 Magnus has a nice range of motion. 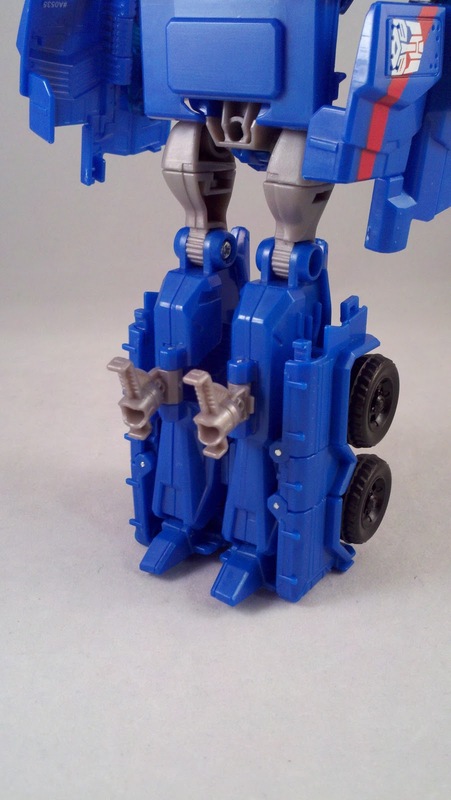 At first I thought his feet might be an issue, but due to his transformation articulation, his 'toes' can be moved to help stabilize him. The biggest drawback is indeed the shoulders. That single ball joint just isn't strong enough to allow him to keep his arms in any sort of action pose... especially with the weight of his cannon/hammer. 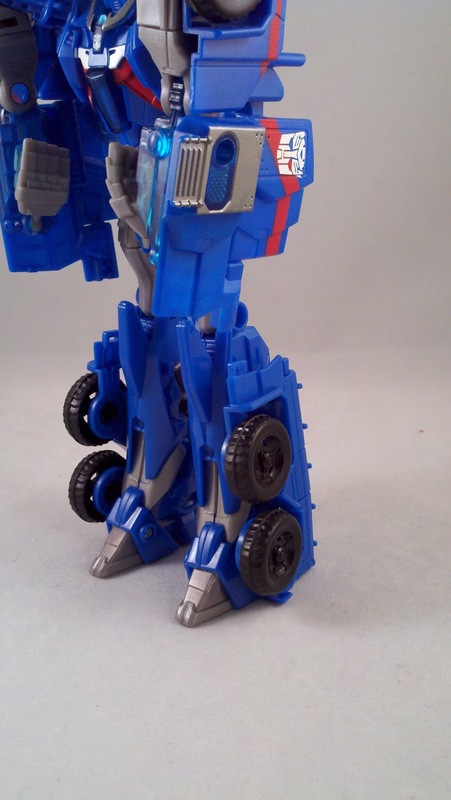 Considering the amazing engineering in the smaller Cyberverse Commander figures, it's no surprise that Ultra Magnus' larger counterpart transforms in almost the same manner. 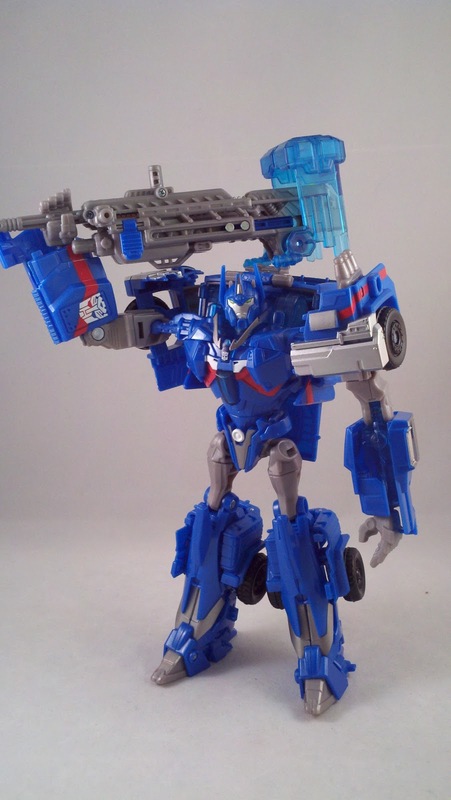 Start by disarming Magnus. Rotate his shoulder guards up... open up his forearms and fold his hands up and in. 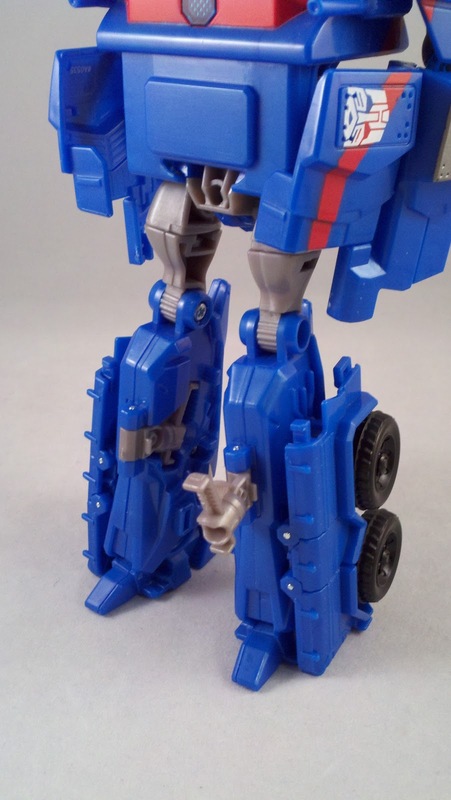 Moving down to the legs... From the inside of the legs, fold the Alt-mode side panel to the outside of the leg. Rotate in downward and fit it into place at the bottom of the foot. Swing out the grey posts from the inside of the legs to the back of the legs. 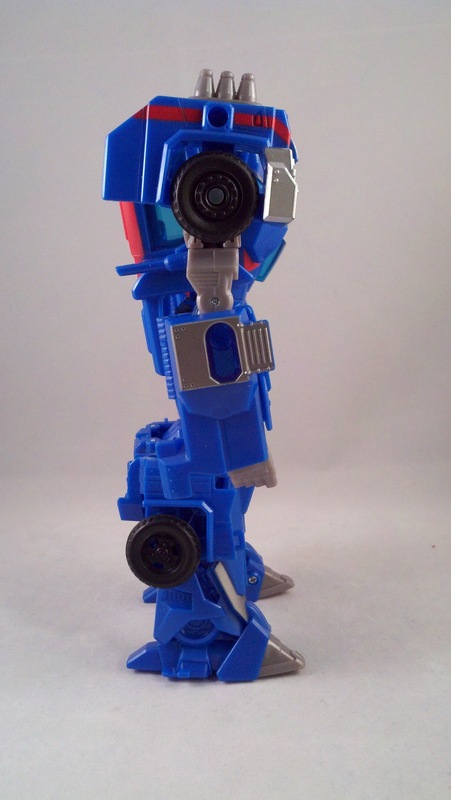 Follow all this up with snapping the legs together. From here, Magnus has to hunker down a little bit. Move the legs forward at the waist a little and bend the knees slightly. Swing his arms in and connect them together. 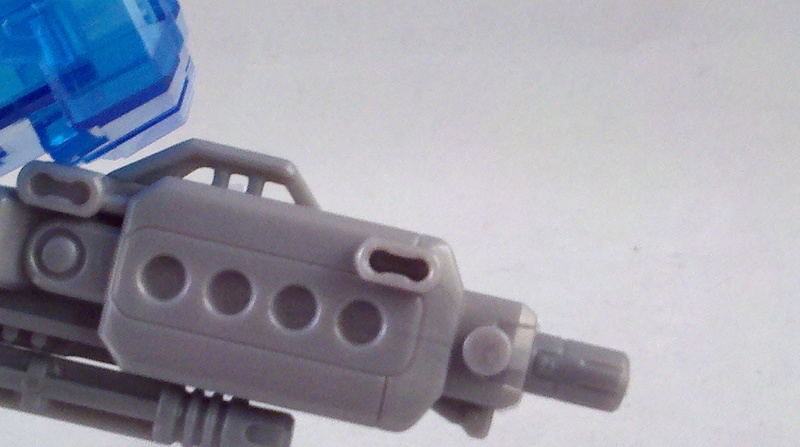 the small grill piece has tabs that will line up with tabs in the shoulder guards and there are tabs on the shoulder guards that will snap in under the roof of the Alt-mode. Push the legs and body together, lining up all the panels, and swing the feet up. 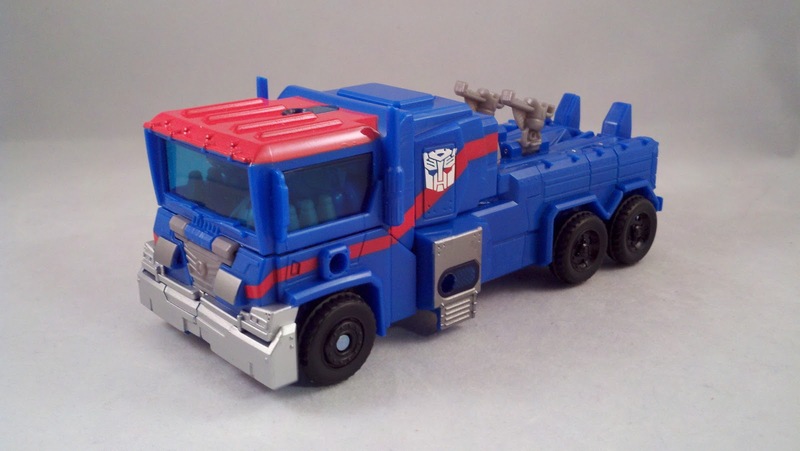 Magnus' Alt-mode is very reminiscent of Animated Magnus... some type of flat-bed carrier truck. 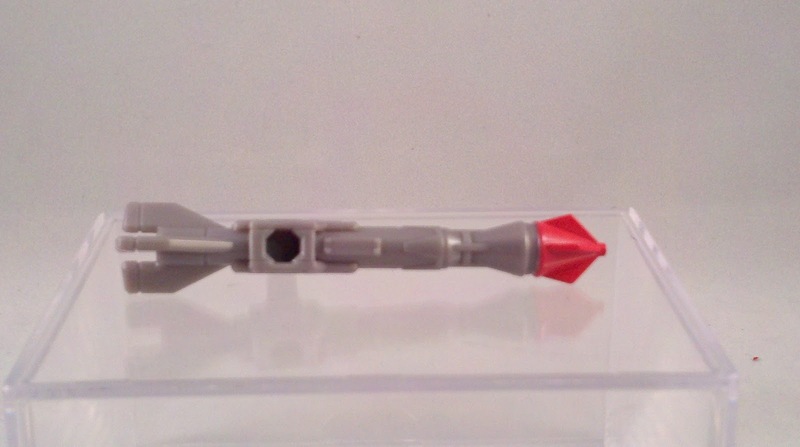 The posts on the 'bed' hold the Meh-Tech weapon in it's collapsed cannon form and the missile. 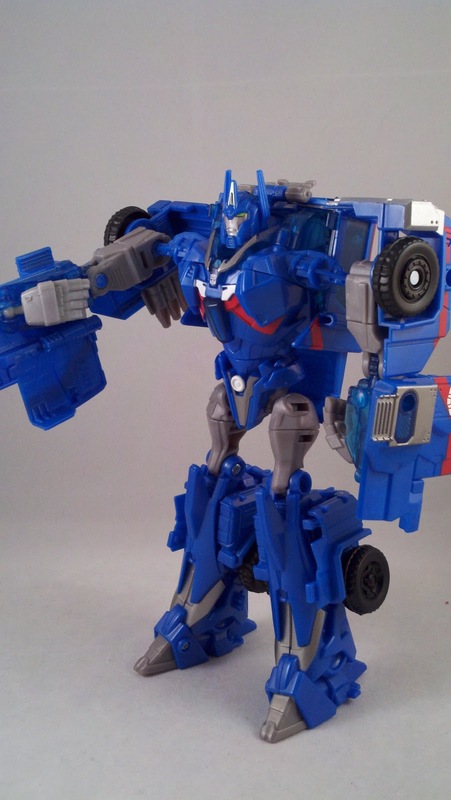 All in all... Magnus isn't a bad figure, he's solid and does look good. 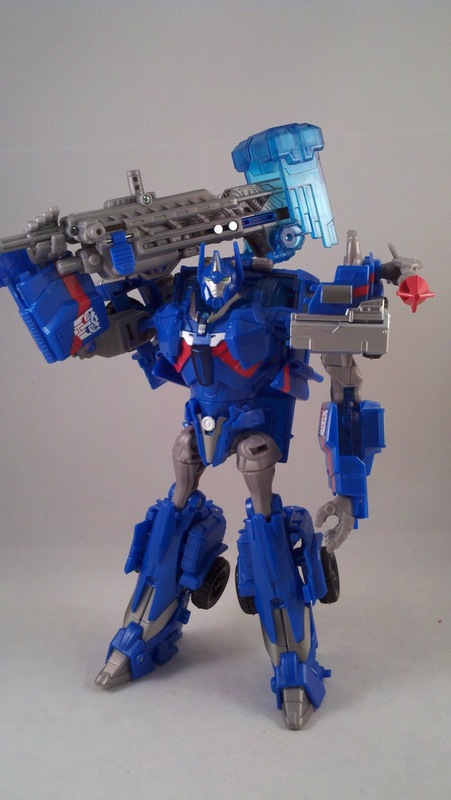 But his shoulders and the lack of support they provide for posing his arms is a big detractor to me. 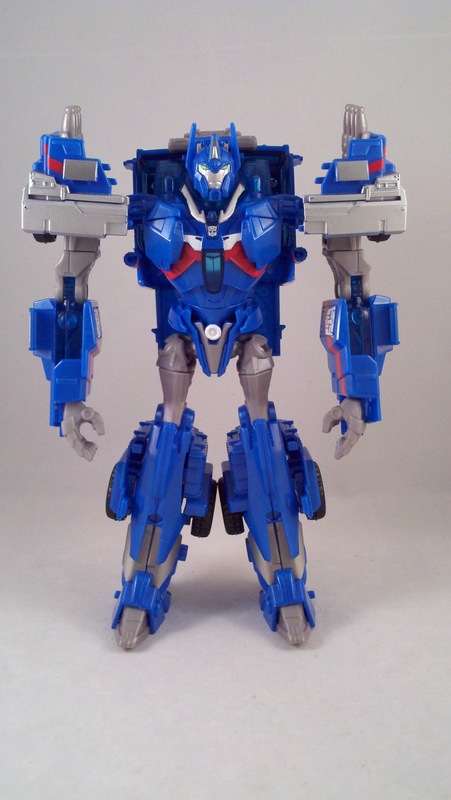 Again, not bad, just a figure I'm not thrilled about. When it comes to collecting show based figures, I go for the main cast of characters and mostly shy away from the extras. The extra figures just seem to be there to be sold. 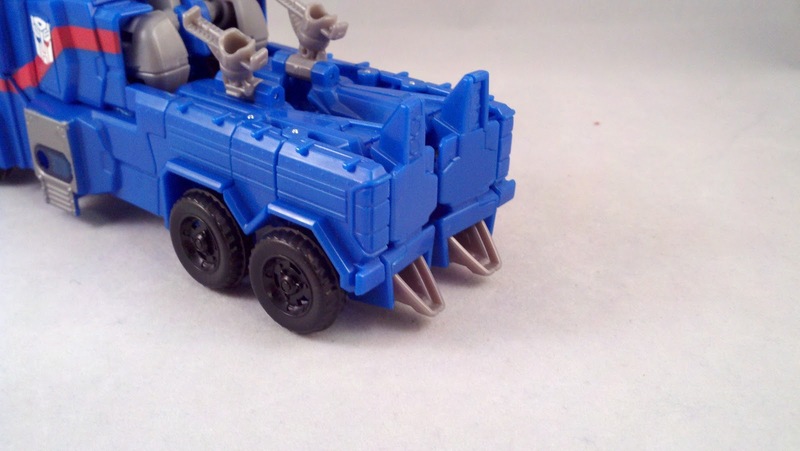 Deadend, Kup, Rumble, Magnus, Thundertron... all just extras. Why do we get these other figures before we get cast figures? 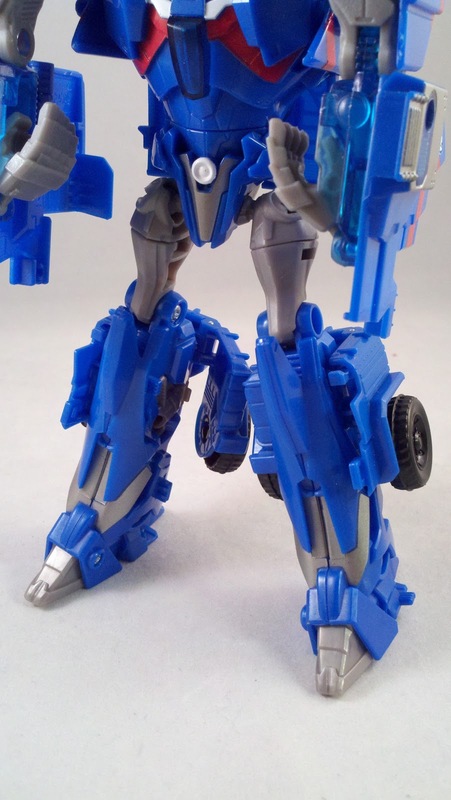 Takara is getting Smokescreen... granted it's a Knocout repaint... but it's a cast character. Why not Breakdown? 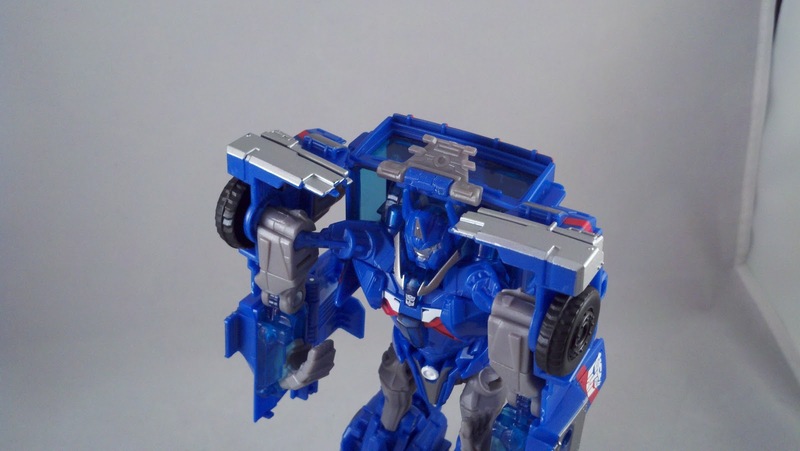 Who we aren't even getting; Breakdown or his Silas repaint. 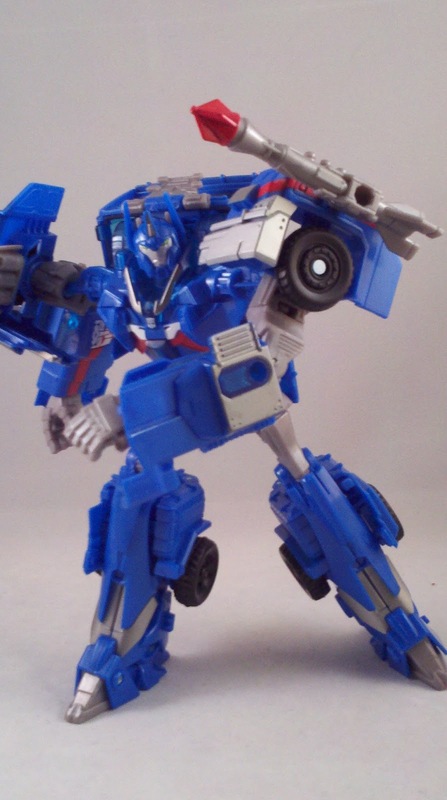 I have to order the Takara versions for at least $60 each. 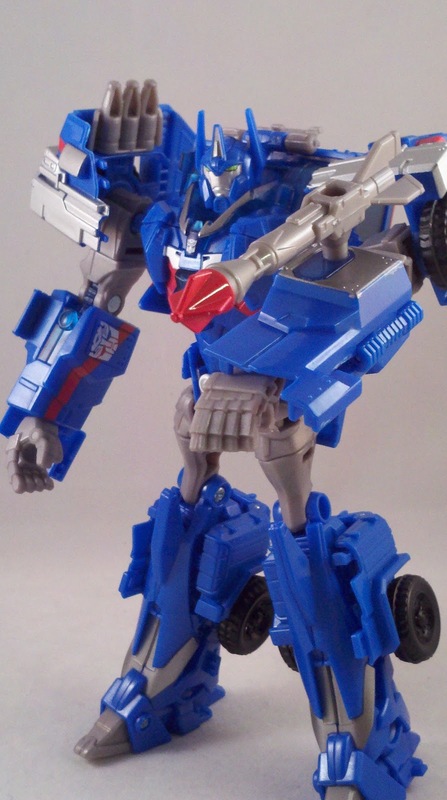 I really want the Orion Pax and Nemesis Prime Optimus repaints. 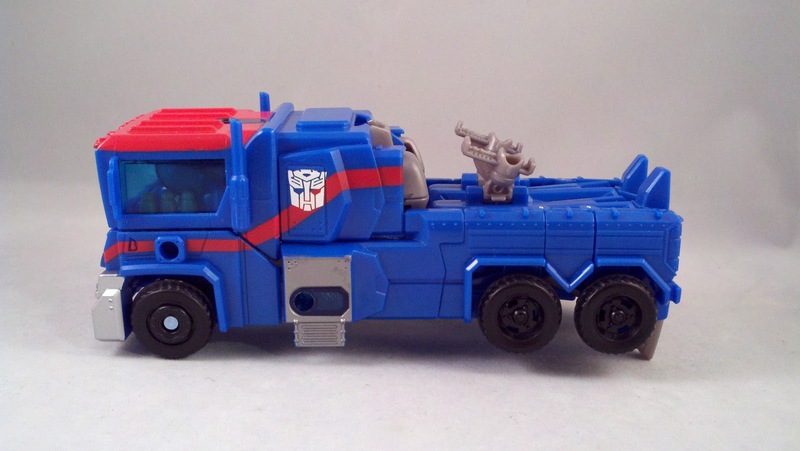 Hasbro LOVES repaints so why not these? They were in the show. But again... no. And those will be at least $40 each. 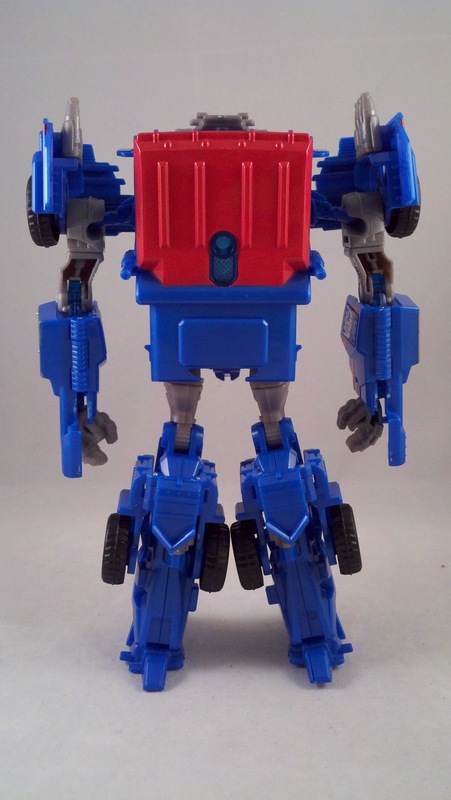 Thanks Hasblo. 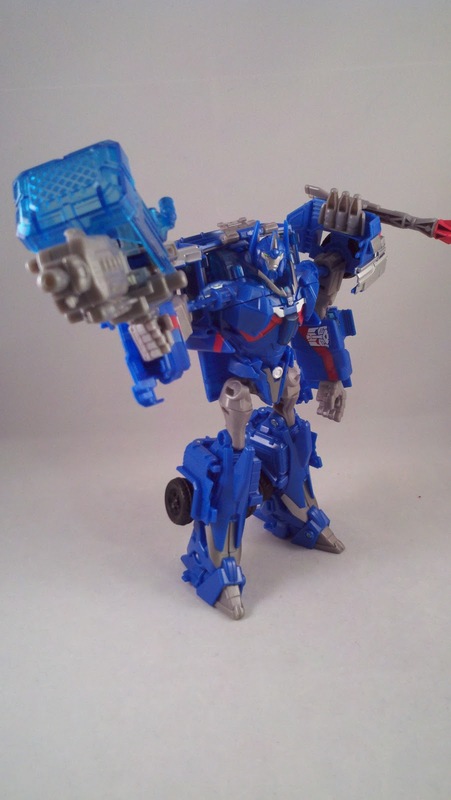 If you're a completionist, Magnus can sit proudly on your shelf hoisting his hammer up onto his shoulder. But for me, sadly, Magnus is one of the characters that I'm shying away from. He's more than likely getting sold off at the next toy show. ... that about sums it up... but am I being to harsh on him. Perhaps. I'm just sore about the shoulders and stupid weapon. Pics, review, and overall feeling of 'meh'... by Scion of Primus. 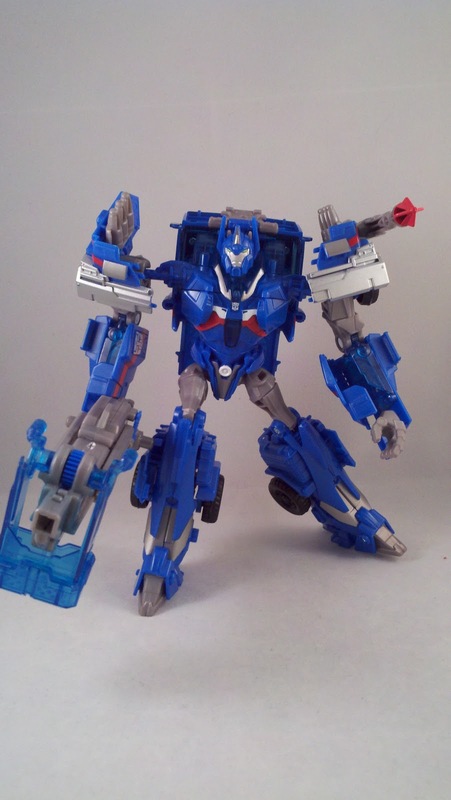 The more I see of Magnus the more I like him! 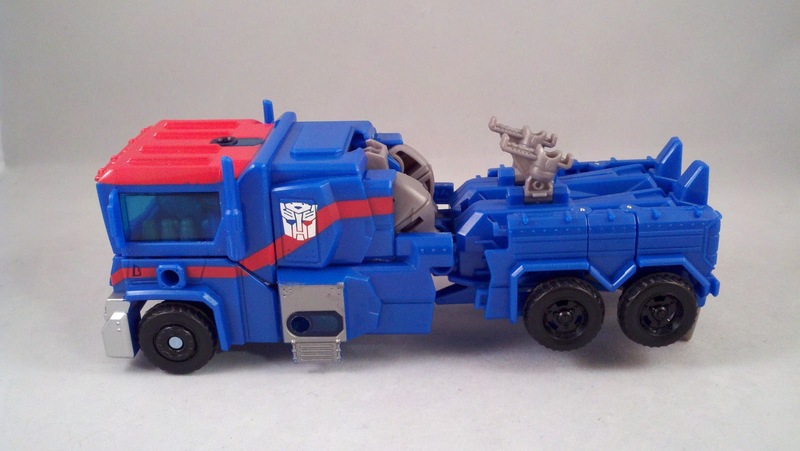 I do really want to pick this Magnus up. 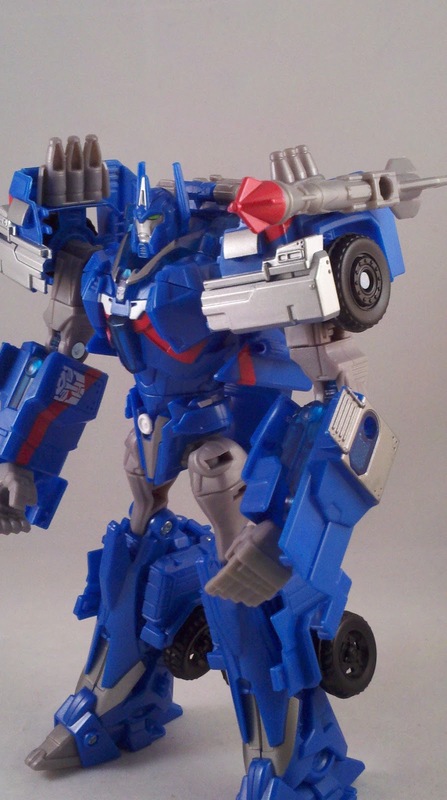 He's getting the toy treatment he deserves this year, we've had too many white Optimus repaints. 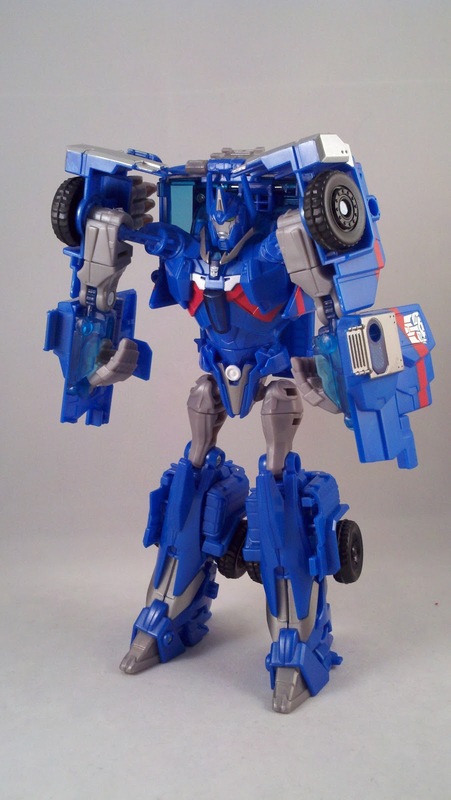 I agree that it's nice to see Magnus as his own character rather than an Optimus repaint. 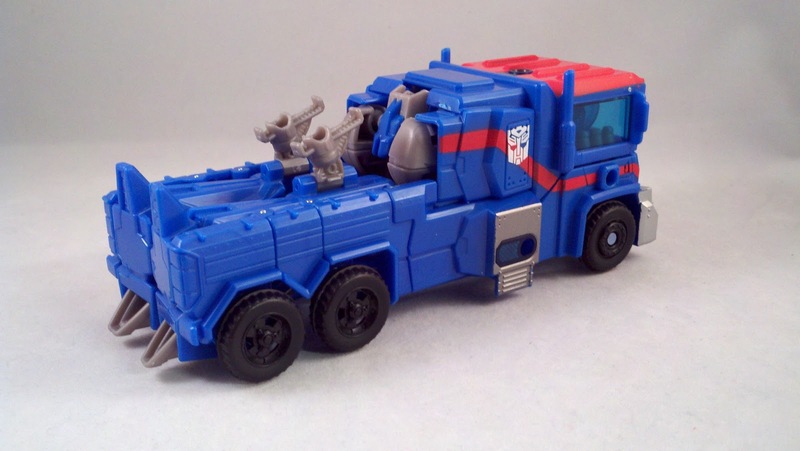 He's always been his own character... we can just blame Hasbro for the use of the Diaclone Powered and Battle Convoys as two different characters.